An open road, blue skies and sandy beaches. Although in this case it was more stony than sandy. It was a lovely day for a Raid in sunny Weymouth. Weymouth is a fair old trek from home and so it became part Raid and part caravan holiday. 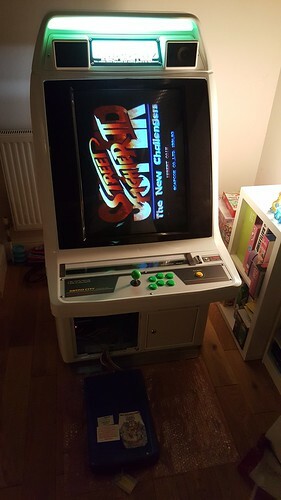 It all started a couple of months ago when I saw an advert for some Electrocoin Duet cabinets. 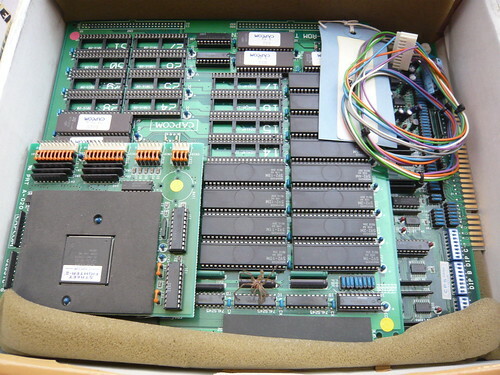 This piqued my interest and I enquired whether they had any more PCB’s or arcade gear for sale. 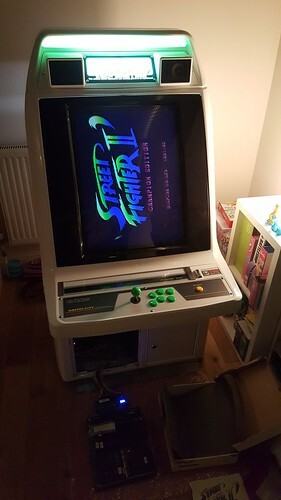 It turns out the seller was an Arcade Operator working for Bristol Coin Equipment. 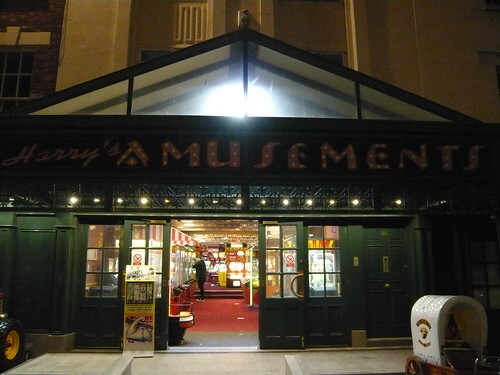 The company had operated arcades since 1972, and at one point they had fourteen arcades. 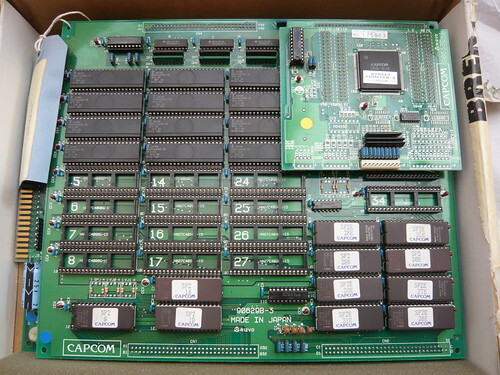 They even had a custom built Jamma test rig and a full electronics workshop for repairing boards. 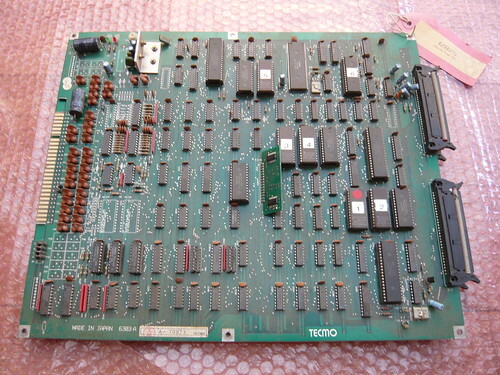 Unfortunately loads of parts had been binned a couple of years ago. 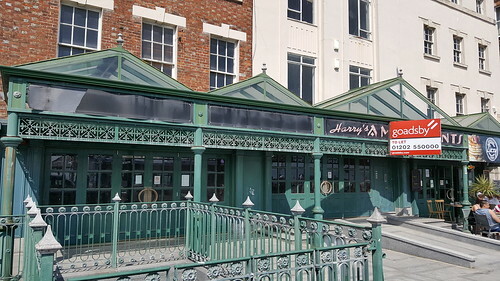 Last year the decision was made to close their last site in Weymouth, Harry’s Amusements. 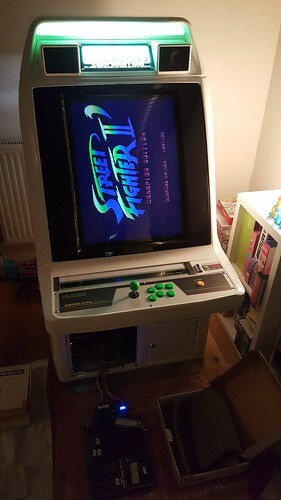 The Op mentioned that they had twenty BAS Jamma cabs in the basement, and had sold them all to a collector. 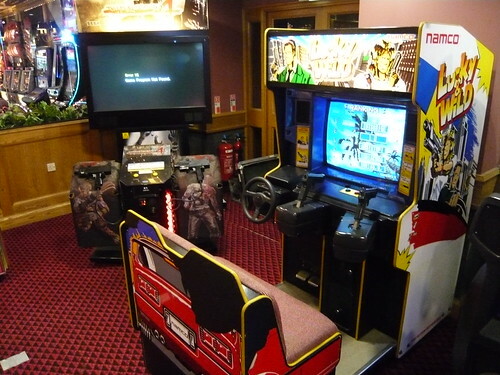 He also had three Ridge Racer DLX cabinets which were sold to collectors. 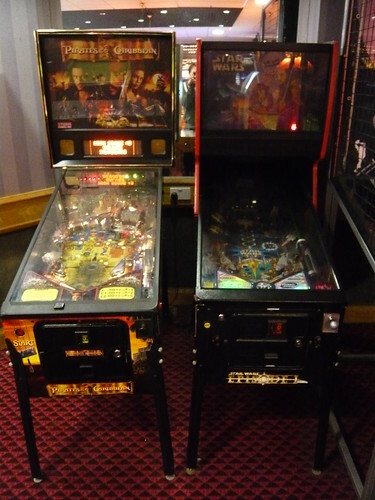 I visited the arcade back in 2016 when I was working in Portland. 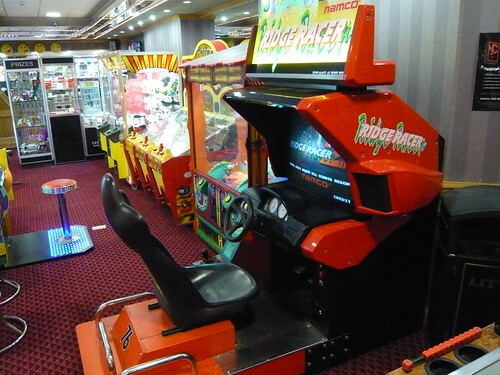 The arcade still had some nice machines, especially Ridge Racer DLX, which was one of the nicest ones I’d seen. Here are some pics. 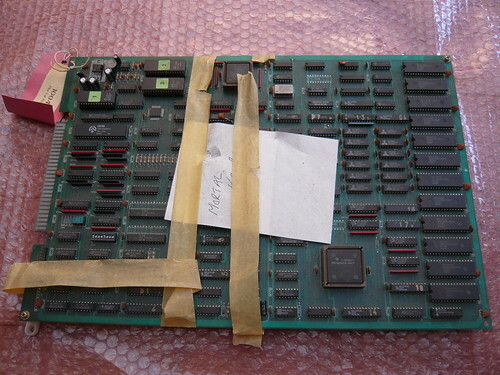 After clearing out the old office in Bristol, the Op got back to me saying he had found some PCB’s. During our holiday, I visited the Op. 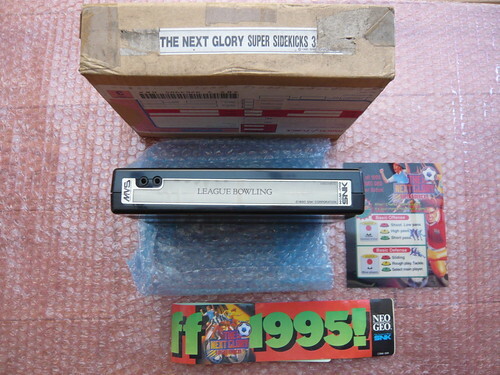 Everything was sold as untested and supposedly working until it was pulled from service. 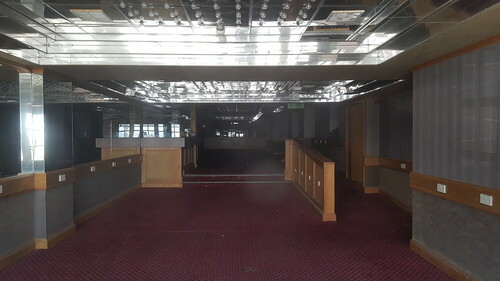 It amazes me what’s still out there in storage, lock-ups and old buildings after all these years. 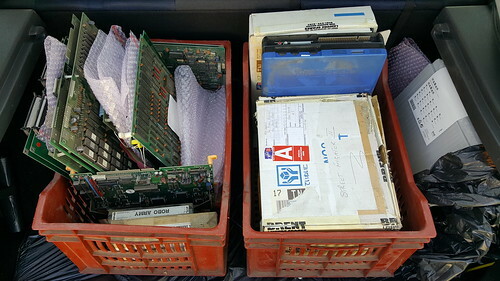 When I got back from our holiday, I started off by checking through and testing the PCB’s in the crate on the right. 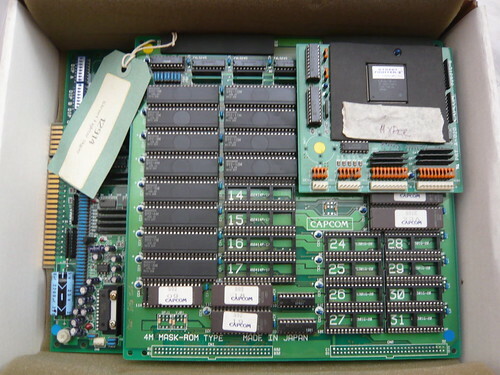 These boards have been stored in Namco kit boxes, which were sent from Brent Leisure. 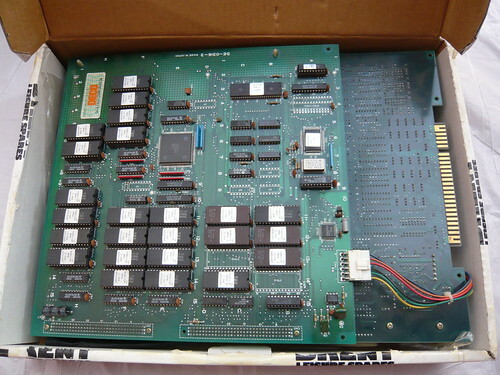 The boards are in like new condition, and amazingly all of them proved to be fully working. There is a definite running theme with these boards! 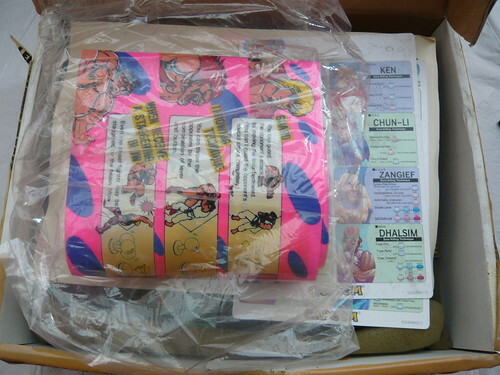 I was pleasantly surprised to find some arts when I opened up this box. I removed the arts and was in for another surprise. Check out that gigantic spider! It was dead and has probably been dead for a long time, but it didn’t half make me jump. 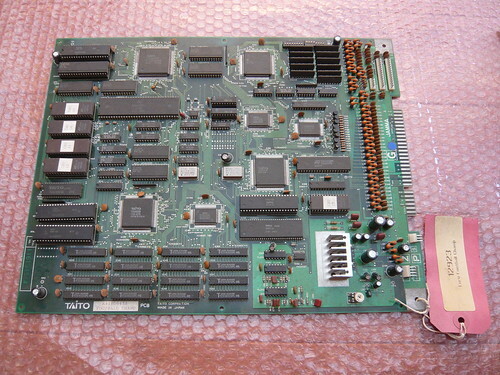 It would be more at home with an Aliens PCB! Here are the arts. 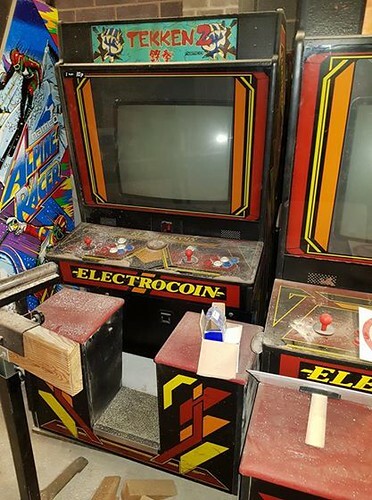 Unfortunately the Electrocoin marquee has yellowed quite badly. This one looks like it’s had a hard life. 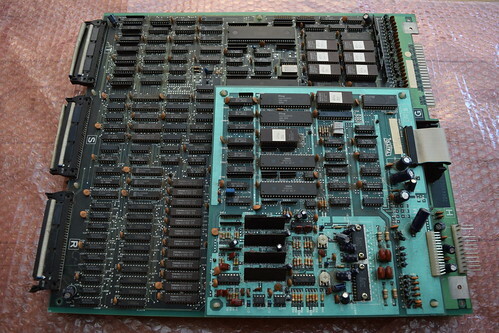 However the board cleaned up well and is fully working. Now for something completely different! 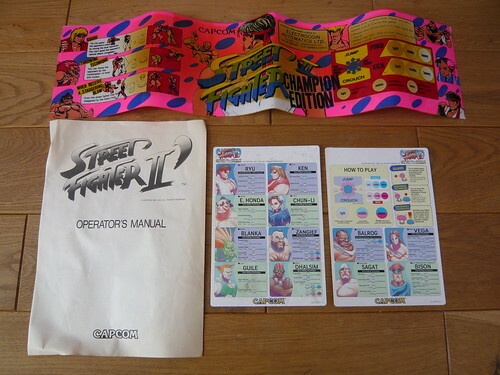 An awesome game, I have fond memories of playing this back in the day. 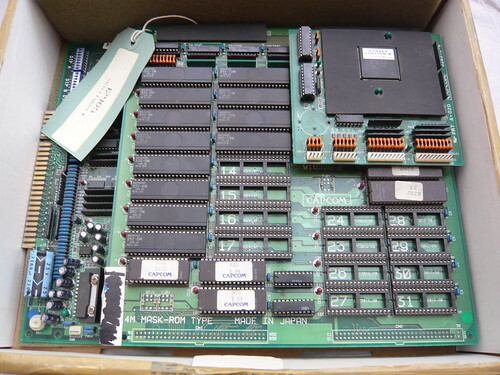 The PCB’s in the left crate were more varied, with some very cool and rare titles. 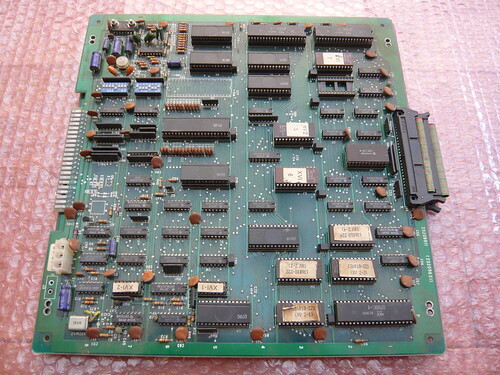 I was a bit stumped identifying this board as it had a Wrestlefest tag attached to it. 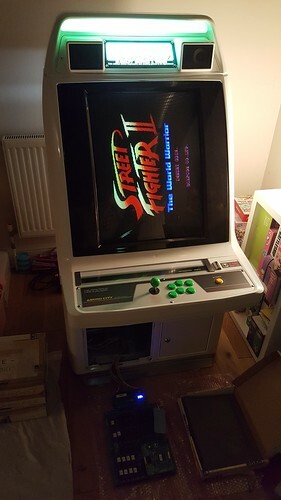 I powered it up and was pleasantly surprised to find it was a fully working Black Tiger. Yes, Darius! Well this is one you don’t see very often! 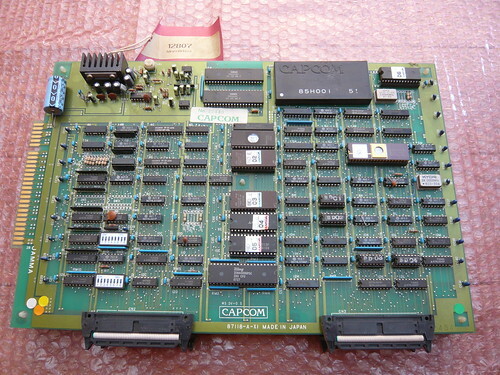 It’s such a shame the original cab was scrapped, but at least the PCB was saved. No Raid would be complete without a couple of football titles! 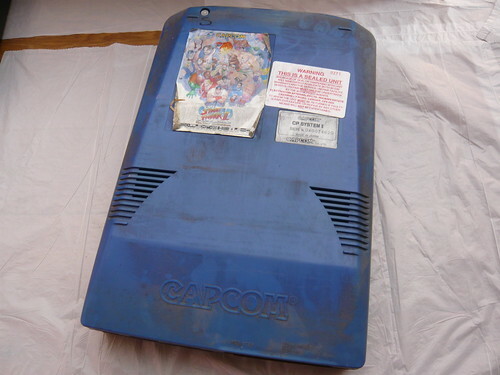 Well I wasn’t expecting to find this cart when I opened the box. Another case of mistaken identity! 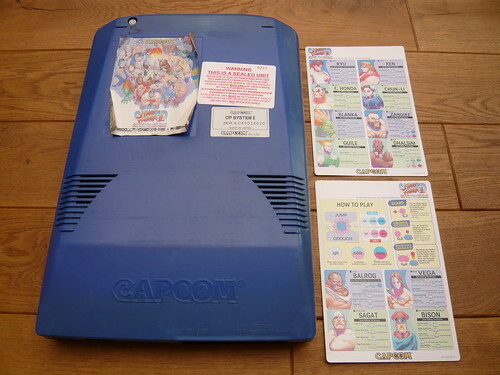 I’m really pleased with this being a massive fan of SNK and scrolling beat-em-ups, and can’t wait to play it. 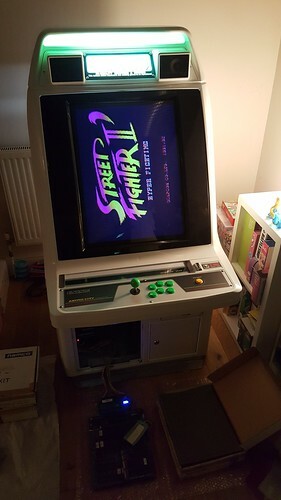 It’s a little dusty, but fully working. 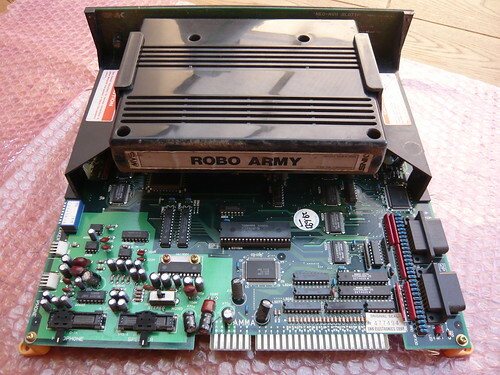 My Raid highlights are Black Tiger, Darius, Robo Army and Street Fighter II’ The World Warrior. 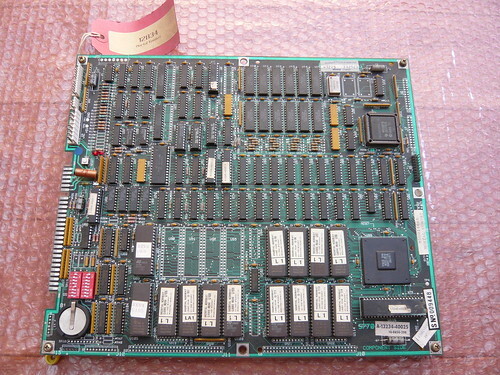 Darius is a particularly rare find, I’ll be looking into that one a bit more on my next blog entry.